Stirling-based business brokers Ryan Willsher and Kate Longman have won industry awards for excellence for the second year in a row, as well as an award for their contribution to the local community. The Finn Franchise Brokers who support businesses in Perth’s northern suburbs, from the CBD through to Yanchep, as well as regional Western Australia, received three awards between them at the recent WA Franchise Council of Australia (FCA) Excellence in Franchising Regional Awards. 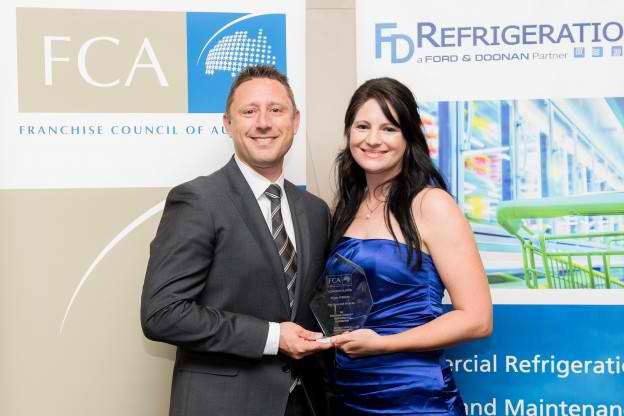 Ryan won the Multi Unit Franchisee of the Year award, after last year winning the Single Unit Franchisee or the Year, while Kate, who assists Ryan in managing his two territories, Perth North and regional WA, again won the Franchise Woman of the Year award. The Finn Franchise Brokers also received the Franchise Community Responsibility and Contribution award, which recognised their commitment to their community by raising funds for local charities as well as hosting information sessions to educate and empower franchisees. As well as supporting Perth’s northern suburbs, the team services regional WA including Geraldton, Karratha, Port Hedland, Broome, Kalgoorlie-Boulder, Albany, Busselton and Bunbury. Their community involvement included their participation in charity fundraisers. Last year Ryan took part in the Ride to Conquer Cancer and raised $4500 and along with Kate raised more than $2000 from the Central Park Plunge. They also donate 1.2 per cent of their revenue to local charities including Lifeline WA, The MS Society and Ronald McDonald House. “It’s an honour to be recognised again for all the hard work our whole team has put in to our business, The Finn brand, and the franchise community,” Ryan said. Ryan, who joined Finn Franchise Brokers in 2012, said they were especially humbled to receive the community award. “Our whole business is geared around giving back to the WA franchise community and the Perth local community. All the charities have a special connection to at least one of our staff and it give us a much higher purpose than just helping people enter and exit a business,” he said. 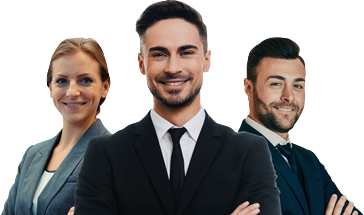 Finn Franchise Brokers was established in Perth in 2004 and has grown to become Australia’s largest network of business brokers. Servicing the franchise sector, Ryan, Kate and their team help franchisees to sell their business or helps franchisors to find franchisees for their new sites. Support includes assisting buyers and sellers with valuations, business profiling, due diligence, marketing, communications and contracts. Over the past year, Finn Franchise Brokers have worked with more than 80 different brands across the northern suburbs including Coffee Club, Dome, Zambrero, Poolwerx, Salon Express, Anytime Fitness, Jetts, Red Rooster, Chicken Treat and Ian Diffen. “We try and take the guessing game and time it takes out of the equation when looking for a good franchise business. Thirty per cent of the businesses we help people buy are bought before they even hit the market,” he said. Ryan said while there was definitely a share of businesses struggling in WA’s current economic market there were also many who continue to thrive through a focus on “good old fashioned customer service and tight management”. Kate said winning the coveted Franchise Woman of the Year award two years in a row was a huge honour. The state awards were held on May 8 at the Parmelia Hilton Perth. Ryan and Kate are now finalists in the FCA’s national awards which will be held on the Gold Coast on October 10.